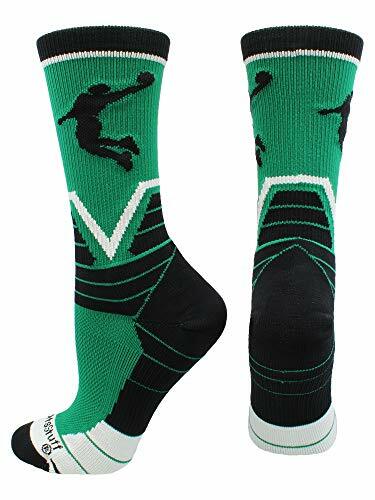 MadSportsStuff Victory Basketball Socks with Player in crew length. High performance basketball socks for all team sports and elite athletes. Shoe Size: Small - Youth 12-5 Womens 4-7, Medium - Womens 7-10 Mens 6-9, Large - Womens 10-13 Mens 9-12, X-Large Womens 13+ Mens 12+. These basketball socks are ideal for boys, girls, men, women and make a great gift! PERFECT BASKETBALL SOCKS: Ring in the basketball season with these Victory basketball socks! This winning design is sure to make you look good and play even better! These elite basketball socks are great for men, women, boys or girls.